When looking at a typical spine from the side you will see that the spine has normal curves, but when looking at it from the back it will appear straight. 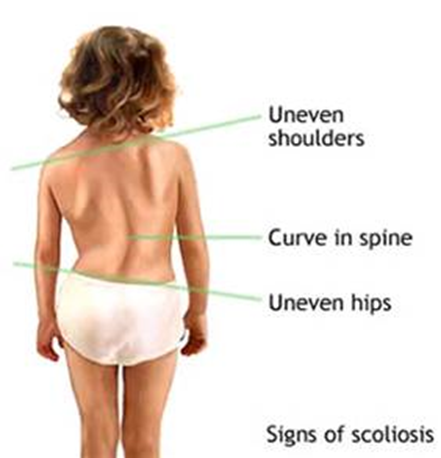 Scoliosis is about two times more common in girls, about 2% are affected. About 0.5% of boys are affected. It can be seen at any age, but it is most common in those over 10 years of age. Early treatment is imperative but the 3 most common approaches are to brace, observe until the curve is advanced and then surgery for correction. 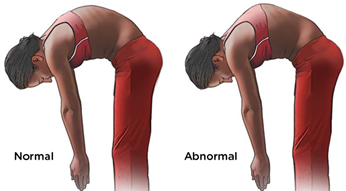 These three approaches do not stabilize or reduce the scoliosis. 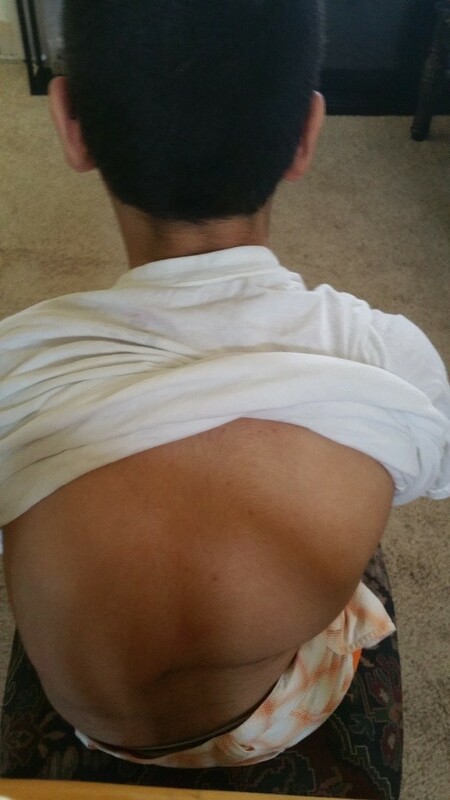 The most effective way to treat scoliosis is by muscle re-training through physical therapy. With muscle re-training there is a possibility that the curve will be improved, a brace may not be needed and surgery may not be needed and/or postponed. If treatment is delayed and the curve progresses to 25 degrees or more there is a 68% chance the curve will continue to progress. 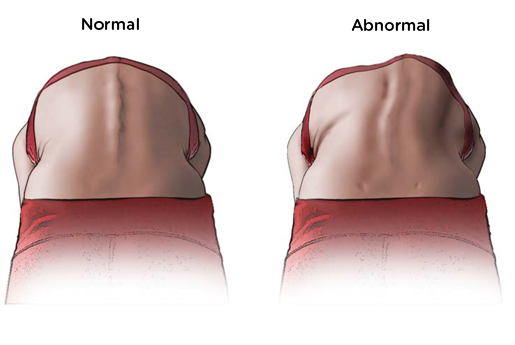 Without early detection and proper treatment the scoliosis may become painful, interfere with activities of daily living and decrease quality of life. If a scoliosis curve gets worse, the spine will also rotate or twist, in addition to curving side to side. 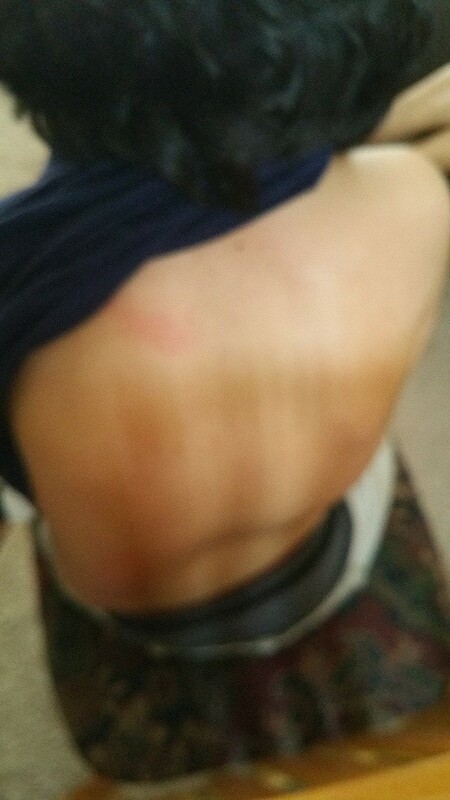 This causes the ribs on one side of the body to stick out farther than on the other side (rib hump, pictured above). Severe scoliosis can cause back pain and difficulty breathing. Doctors commonly opt to only observe children with early stage scoliosis, curves measuring less than 20 degrees, for at least the first six months. The idea is that doctors can tell if the mild scoliosis is progressive or not after this time. Yet, if the curve reaches 25 degrees, there’s a 68 percent chance the scoliosis will continually get worse. If you suspect, or your child is diagnosed with a mild scoliosis discussing treatment options is imperative. With early intervention physical therapy the curve may not progress and bracing and surgery may be avoided. Physical therapy focuses on correcting that neuromuscular miscommunication. It will help creates new muscle memory and coordination that helps the body stabilize. This exercise training lowers the chance that scoliosis will get worse and often reduces the curve to less than 10 degrees. 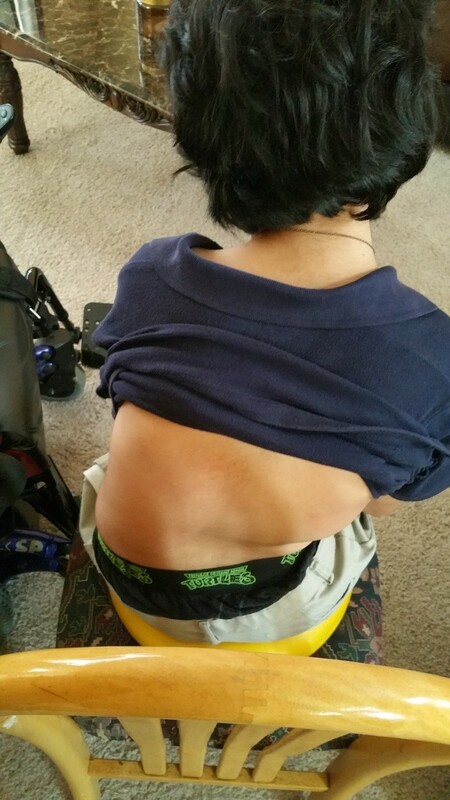 No scoliosis treatment can “fix” the condition 100 percent, there is no cure. The best result is to halt progression and reduce the curve as much as possible. A detailed physical therapy program will aim to correct the condition by retraining the body instead of forcing it to be straighter. Scoliosis exercise treatments vary depending on the curve. Treatment may focus on breathing mechanics and function, using mirror image type exercise or using anti-scoliosis posture during daily activities. The main goal is to create new habits of posture and retrain the muscles to maintain the new posture. Retraining is very important because most scoliosis has an unknown case, but stems from a neurological problem with the brain’s control of the spine. The brain incorrectly perceives gravity and disorients the spine. 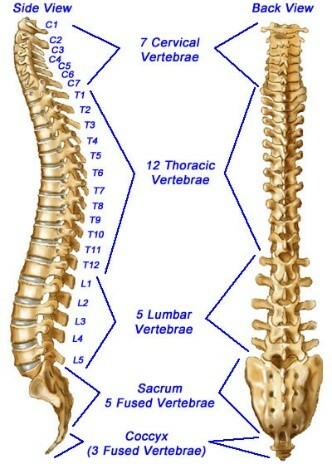 It should tell the spine to straighten but it does not, resulting in a curve. With retraining it is possible to use involuntary muscle movements to help hold the spine in a more upright position. This is why bracing often does not achieve and optimal outcome, when a child is braced for a majority of the day, they are not able to use these muscle movements to correct the position of the spine, actually it is the opposite and the muscles tend to get weaker due to non-use. If you believe your child could benefit from a physical therapy evaluation and program please contact us.